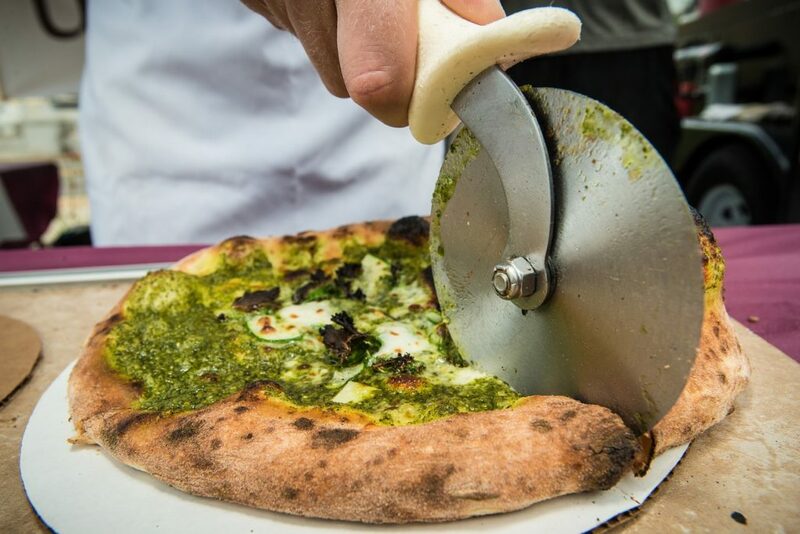 You can not miss the typical Neapolitan pizzeria restaurant and have a look at Il Pizzaiuolo Florence menu where you will feel like being in Naples and taste one of the best pizza in Florence! In the city centre you can find some of the best pizza restaurants in Florence Italy where you can eat not only pizza but also pasta and meat you can go at Santa Lucia pizzeria Firenze that is situated just outside from the historical city center of Florence or if you want to be nearby the characteristic district of S.Niccolò you can go at the pizzeria I Tarocchi Firenze where you can find delicious Italian cuisine recipes! If you are in a hurry or you want home delivery if you want to see a film and relax at your place you can easily do that also through the app from the Runner pizza Firenze or the other one is Taxi Pizza Firenze. When something is simple and uses only the best ingredients, you find success. 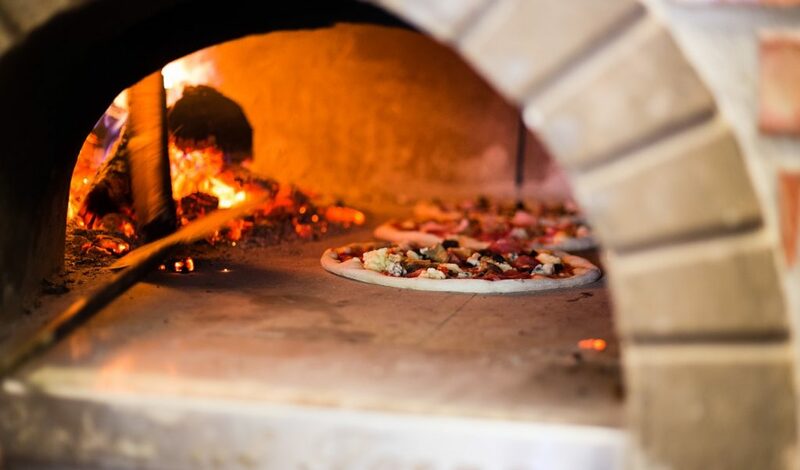 Here you will find a number of delicious pizzas of different variations made with the best flour, tomatoes and cheeses (not to mention the other toppings). Mix that with a Poretti beer and you’ve got dinner (or lunch)! Find this pizzeria near the Sant’Ambrogio Market. One of the best pizzas in town and right smack dab in the middle of the city. Upon entering, make sure to ask for the pizza side (off to the left) and enjoy one of their pizzas from the menu (including those found no where else) or one from their menu of the day. You also have the choice of choosing between a normal crust or multigrain. Follow it up with a great dessert and you’re all set. If you can’t choose just one, they offer pizza tastings! You can sit down here, but in our opinion, it’s the best option for take away in this city. Here, not only are the types of pizzas out of this world, but you get to choose the size that you want of every piece, meaning you can try them all in one sitting! The woman that greets you is welcoming, helpful and knowledgeable giving La Divina an extra bonus aspect. Over on the other side of the river, a little bit out of the way, but still in a great area of Florence surrounded by great bars and a nice flow of Florentines, you will find Da Gherardo. Often recommended by Italians themselves. This place is basically a hole in the wall and we say that in the nicest way possible but there is a chance you will have to get it to go. Nonetheless, it’ll taste great wherever you end up eating it. At Gusta Pizza, you will certainly feel the love with their heart shaped pizzas and happy faces. A popular spot for the American students, but with good reason: the pizza is delicious. Neapolitan style pizza done in the traditional way with only 7 pizzas to choose from. We suggest getting your pizza to go to eat on the steps of the Santo Spirito Church while people watching. Via Ponte alle Mosse, 102/r. Phone (+39) 055 353 255. One of the best pizzerias in Florence is located not far from the center. The place is not fancy, but you can taste real Neapolitan Pizza and other typical dishes from southern Italy. It is especially frequented by Florentines, and the prices are really fair. It’s necessary to book in advance. Transport yourself to Napoli with the decor and menu of this pizzeria/restaurant in the Santo Spirito area. I will say from experience that the staff are not the friendliest, however, if you can get passed that you will be happy with the food. Make sure to try a pizza with ricotta stuffed crust! Via dei Macci 113/r. Phone 055 241 171. In the heart of Florence, this is one of the most appreciated Neapolitan pizzerias in town. The place is really nice and the pizzas are wonderful. Prices are higher than average because of the really central location. Absolutely worth a dinner!! It’s necessary to book before going. Via Benedetto Dei, 122 Phone (+39) 055 411 937. A place far from mass tourism? A place where only Florentines go? A place where pizza and pasta are really excellent? Go to Firenze Nova and you’ll find an answer to all these questions! This pizzeria is 10 minutes by taxi from the center, and the atmosphere is really authentic. You’ll feel like you’re in Naples! You can’t miss it. Prices are fair. Book before going. Via dei Renai, 12 Phone (+39) 055 2343912. One of the most famous pizzerias. Near the Arno. For lunch you can meet a lot of students stopping here for a salad or a fast ‘primo’ (first course). Mastro Ciliegia prepares very good pizza. This place is located in the heart of the town, near the San Pierino Arch. Eating here will not cost you much, but you will taste a very good pizza in a friendly atmosphere. Call here to get your pizza at home. Fast service. Pizzas, sandwiches, pastas, salads, desserts and soft drinks. There is usually always a deal running, like buy a pizza, get a soft drink free. Typical Tuscan cuisine, pizzeria with wood burning oven, fresh fish, external veranda, tourist menu, and pizza making classes! Located near the Central Market, a very typical and lively zone of Florence, this restaurant is very popular and the prices are really affordable.